An artist’s impression of a synestia, a hypothetical object made of vaporized rock that might have birthed the moon. On Dec. 13, 1972, Apollo 17 astronaut Harrison Schmitt walked up to a boulder in the moon’s Sea of Serenity. “This boulder’s got its own little track, right up the hill,” he called to his commander, Eugene Cernan, pointing out the mark the boulder left when it rolled down a mountainside. Cernan bounded over to collect some samples. “Think how it would have been if you were standing there before that boulder came by,” Cernan mused. “I’d rather not think about it,” Schmitt said. The astronauts chiseled bits of the moon from the boulder. Then, using a rake, Schmitt scraped the powdery surface, lifting a rock later named troctolite 76536 off the regolith and into history. Harrison Schmitt, the first scientist to become an astronaut, collects lunar specimens during the Apollo 17 mission. But modern measurements of troctolite 76536, and other rocks from the moon and Mars, have cast doubt on this story. In the past five years, a bombardment of studies has exposed a problem: The canonical giant impact hypothesis rests on assumptions that do not match the evidence. If Theia hit Earth and later formed the moon, the moon should be made of Theia-type material. But the moon does not look like Theia — or like Mars, for that matter. Down to its atoms, it looks almost exactly like Earth. To understand what may have happened on Earth’s most momentous day, it helps to understand the solar system’s youth. Four and a half billion years ago, the sun was surrounded by a hot, doughnut-shaped cloud of debris. Star-forged elements swirled around our newborn sun, cooling and, after eons, combining — in a process we don’t fully understand — into clumps, then planetesimals, then increasingly larger planets. These rocky bodies violently, frequently collided and vaporized one another anew. It was in this unspeakably brutal, billiard-ball hellscape that the Earth and the moon were forged. To get to the moon we have now, with its size, spin and the rate at which it is receding from Earth, our best computer models say that whatever collided with Earth must have been the size of Mars. Anything bigger or much smaller would produce a system with a much greater angular momentum than we see. A bigger projectile would also throw too much iron into Earth’s orbit, creating a more iron-rich moon than the one we have today. Early geochemical studies of troctolite 76536 and other rocks bolstered this story. They showed that lunar rocks would have originated in a lunar magma ocean, the likes of which could only be generated by a giant impact. The troctolite would have bobbed in a molten sea like an iceberg floating off Antarctica. On the basis of these physical constraints, scientists have argued that the moon was made from the remnants of Theia. But there is a problem. Back to the early solar system. As rocky worlds collided and vaporized, their contents mixed, eventually settling into distinct regions. 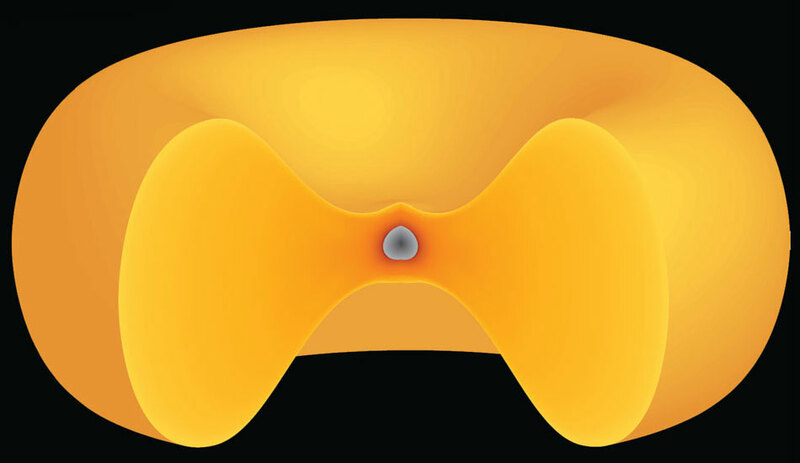 Closer to the sun, where it was hotter, lighter elements would be likelier to heat up and escape, leaving an excess of heavy isotopes (variants of elements with additional neutrons). Farther from the sun, rocks were able to keep more of their water, and lighter isotopes persisted. Because of this, a scientist can examine an object’s isotopic mix to identify where in the solar system it came from, like accented speech giving away a person’s homeland. 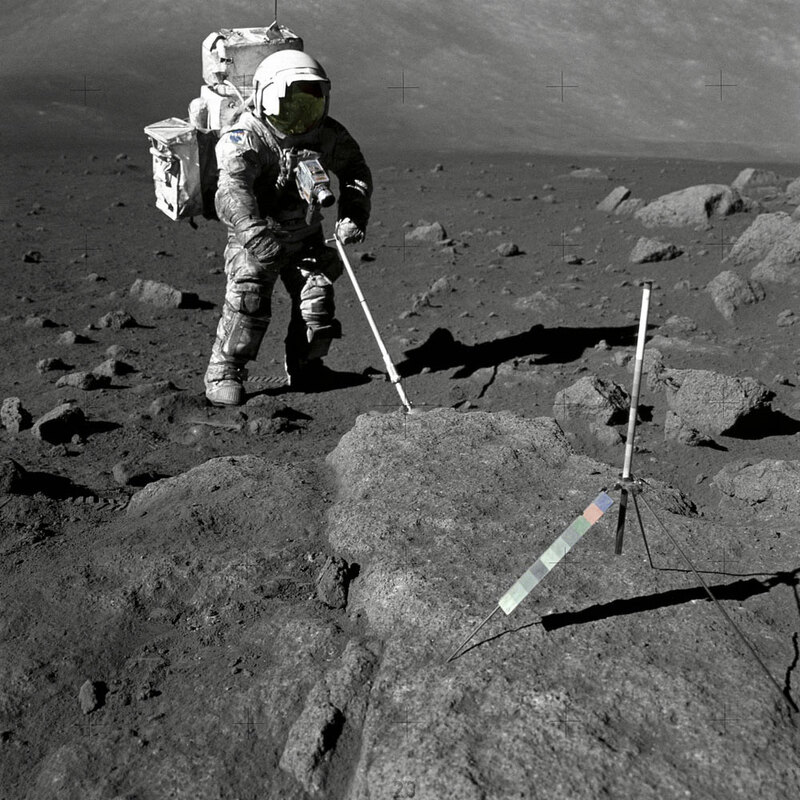 In 2001, using advanced mass spectrometry techniques, Swiss researchers remeasured troctolite 76536 and 30 other lunar samples. They found that its oxygen isotopes were indistinguishable from those on Earth. Geochemists have since studied titanium, tungsten, chromium, rubidium, potassium and other obscure metals from Earth and the moon, and everything looks pretty much the same. This is bad news for Theia. If Mars is so obviously different from Earth, Theia — and thus, the moon — ought to be different, too. If they’re the same, that means the moon must have formed from melted bits of Earth. The Apollo rocks are then in direct conflict with what the physics insist must be true. Sarah Stewart, a planetary scientist at the University of California, Davis, along with her student Simon Lock at Harvard University. Stewart has been trying to reconcile the physical constraints of the problem — the need for an impactor of a certain size, going a certain speed — with the new geochemical evidence. 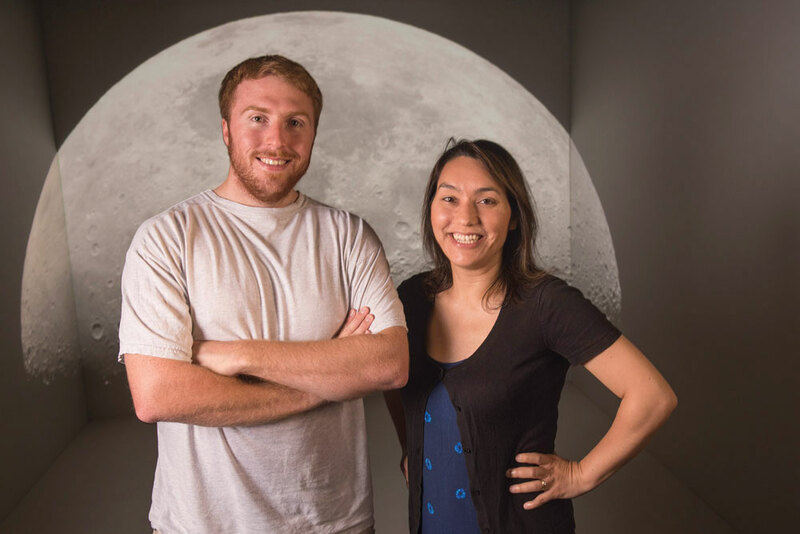 In 2012, she and Matija Ćuk, now at the SETI Institute, proposed a new physical model for the moon’s formation. They argued that the early Earth was a whirling dervish, rotating through one day every two to three hours, when Theia collided with it. The collision would produce a disk around the Earth, much like the rings of Saturn — but it would only persist for about 24 hours. Ultimately, this disk would cool and solidify to form the moon. 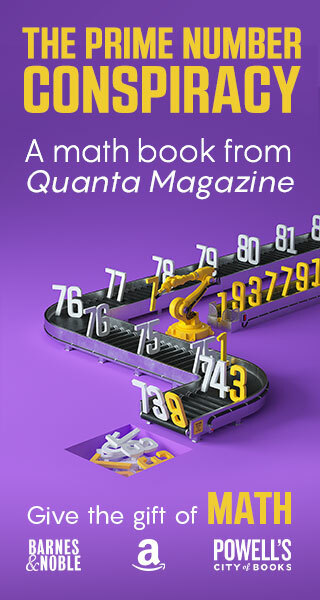 Supercomputers are not powerful enough to model this process completely, but they showed that a projectile slamming into such a fast-spinning world could shear away enough of Earth, obliterate enough of Theia and scramble enough of both to build a moon and Earth with similar isotopic ratios. Think of smacking a wet lump of clay on a fast-spinning potter’s wheel. For the fast-spinning-Earth explanation to be right, however, something else would have to come along to slow down Earth’s rotation rate to what it is now. In their 2012 work, Stewart and Ćuk argued that under certain orbital-resonance interactions, Earth could have transferred angular momentum to the sun. Later, Jack Wisdom of the Massachusetts Institute of Technology suggested several alternate scenarios for draining angular momentum away from the Earth-moon system. But none of the explanations was entirely satisfactory. The 2012 models still couldn’t explain the moon’s orbit or the moon’s chemistry, Stewart said. Then last year, Simon Lock, a graduate student at Harvard University and Stewart’s student at the time, came up with an updated model that proposes a previously unrecognized planetary structure. In this story, every bit of Earth and Theia vaporized and formed a bloated, swollen cloud shaped like a thick bagel. The cloud spun so quickly that it reached a point called the co-rotation limit. At that outer edge of the cloud, vaporized rock circled so fast that the cloud took on a new structure, with a fat disk circling an inner region. Crucially, the disk was not separated from the central region the way Saturn’s rings are — nor the way previous models of giant-impact moon formation were, either. A synestia would be made of a bagel-like mass of vaporized rock surrounding a rocky planet. Given the structure’s unusual characteristics, Lock and Stewart thought it deserved a new name. They tried several versions before coining synestia, which uses the Greek prefix syn-, meaning together, and the goddess Hestia, who represents the home, hearth and architecture. The word means “connected structure,” Stewart said. “These bodies aren’t what you think they are. They don’t look like what you thought they did,” she said. In contrast to these moons, Earth’s satellite also stands out for its size and the physical burden it carries. The moon is about 1 percent the mass of Earth, while the combined mass of the outer planets’ satellites is less than one-tenth of 1 percent of their parents. Even more important, the moon contains 80 percent of the angular momentum of the Earth-moon system. That is to say, the moon is responsible for 80 percent of the motion of the system as a whole. For the outer planets, this value is less than 1 percent. The moon may not have carried all this weight the whole time, however. The face of the moon bears witness to its lifelong bombardment; why should we assume that just one rock was responsible for carving it out of Earth? It’s possible that multiple impacts made the moon, said Raluca Rufu, a planetary scientist at the Weizmann Institute of Science in Rehovot, Israel. 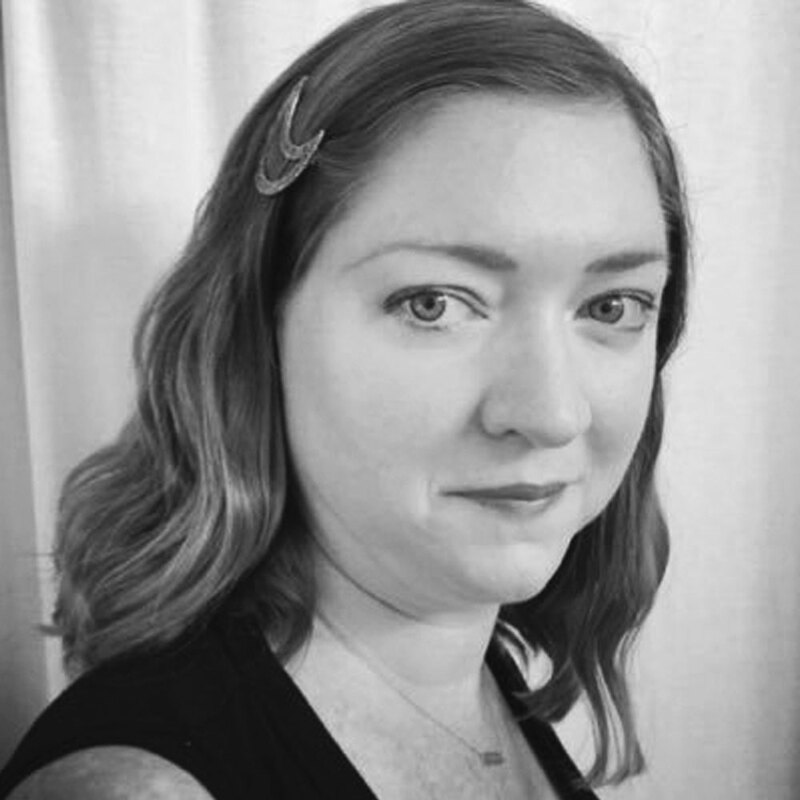 In a paper published last winter, she argued that Earth’s moon is not the original moon. 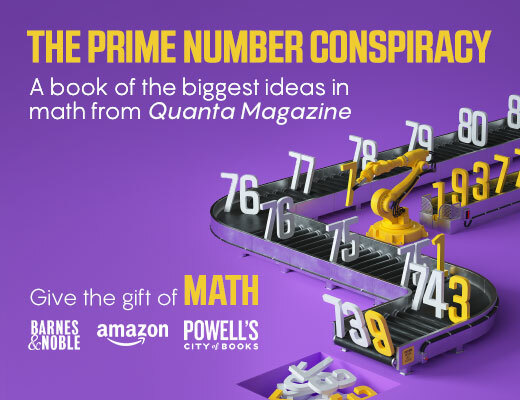 It is instead a compendium of creation by a thousand cuts — or at the very least, a dozen, according to her simulations. Projectiles coming in from multiple angles and at multiple speeds would hit Earth and form disks, which coalesce into “moonlets,” essentially crumbs that are smaller than Earth’s current moon. Interactions between moonlets of different ages cause them to merge, eventually forming the moon we know today. Meanwhile, others have turned to another explanation for the similarity of Earth and the moon, one that might have a very simple answer. From synestias to moonlets, new physical models — and new physics — may be moot. It’s possible that the moon looks just like Earth because Theia did, too. Oded Aharonson, a planetary scientist at the Weizmann Institute of Technology, along with his doctoral student Raluca Rufu. 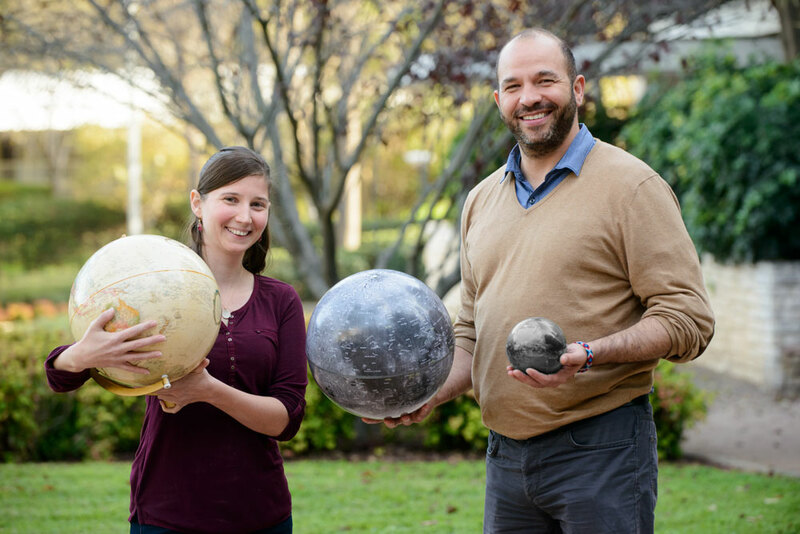 Oded Aharonson, a planetary scientist at the Weizmann Institute of Technology, along with his doctoral student Raluca Rufu (left). The pair devised a computer simulation that shows two moonlets coming together to form a larger body (right). The moon is not the only Earth-like thing in the solar system. Rocks like troctolite 76536 share an oxygen isotope ratio with Earth rocks as well as a group of asteroids called enstatite chondrites. These asteroids’ oxygen isotope composition is very similar to Earth’s, said Myriam Telus, a cosmochemist who studies meteorites at the Carnegie Institution in Washington, D.C. “One of the arguments is that they formed in hotter regions of the disk, which would be closer to the sun,” she said. They probably formed near where Earth did. Some of these rocks came together to form Earth; others would have combined to form Theia. 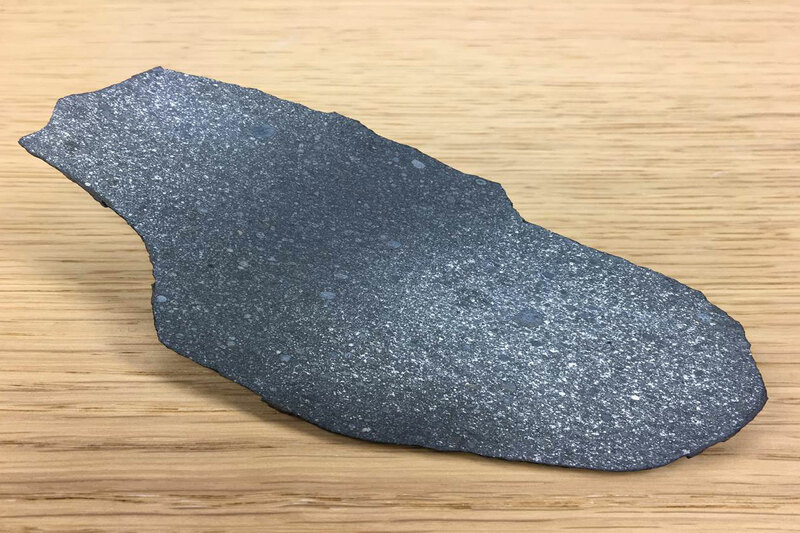 The enstatite chondrites are the detritus, remnant rocks that never combined and grew large enough to form mantles, cores and fully fledged planets. David Stevenson, a planetary scientist at the California Institute of Technology who has studied lunar origins since the Theia hypothesis was first presented in 1974, said he considers this paper the most important contribution to the debate in the past year, saying it addresses an issue geochemists have grappled with for decades. 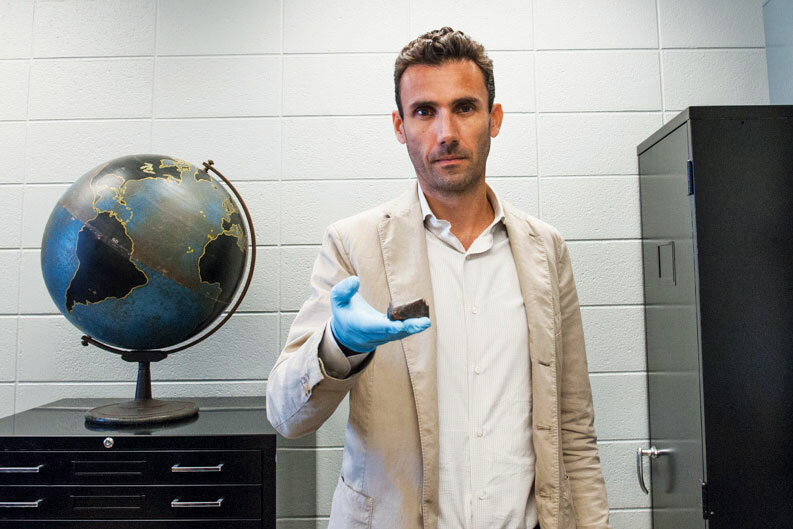 Nicolas Dauphas, a geophysicist at the University of Chicago, holds a piece of an enstatite chondrite, a type of asteroid that could be made of the same material that formed Earth (right). Understanding the moon — our constant companion, our silvery sister, target of dreamers and explorers since time immemorial — is a worthy cause on its own. But its origin story, and the story of rocks like troctolite 76536, may be just one chapter in a much bigger epic. 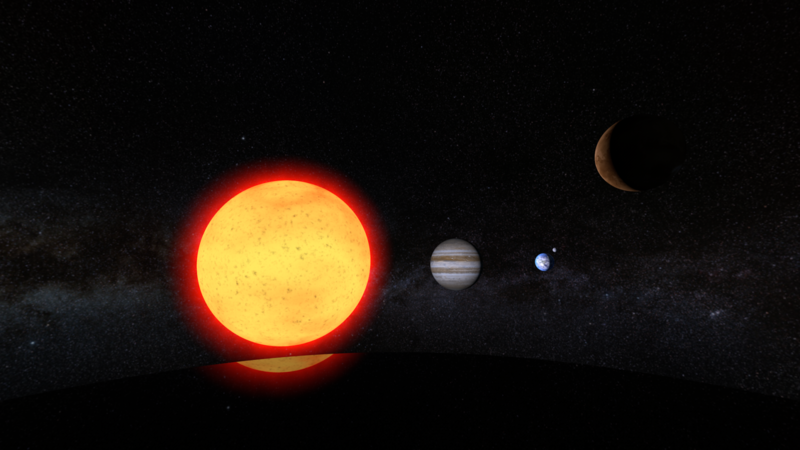 Video: This virtual-reality tour shows how the sun, Earth and the other planets came to be. New tweaks to solar system origin theories, which are often based on complex computer simulations, are also illuminating where planets were born and where they migrated. Scientists increasingly suggest we can’t count on Mars to tell this story, because it may have formed in a different area of the solar system than Earth, the enstatites and Theia. Stevenson said Mars should no longer be used as a barometer for rocky planets. Absent samples from Venus, and without laboratories that can test the unfathomable pressures and temperatures at the heart of giant impacts, lunar scientists will have to keep devising new models — and revising the moon’s origin story.